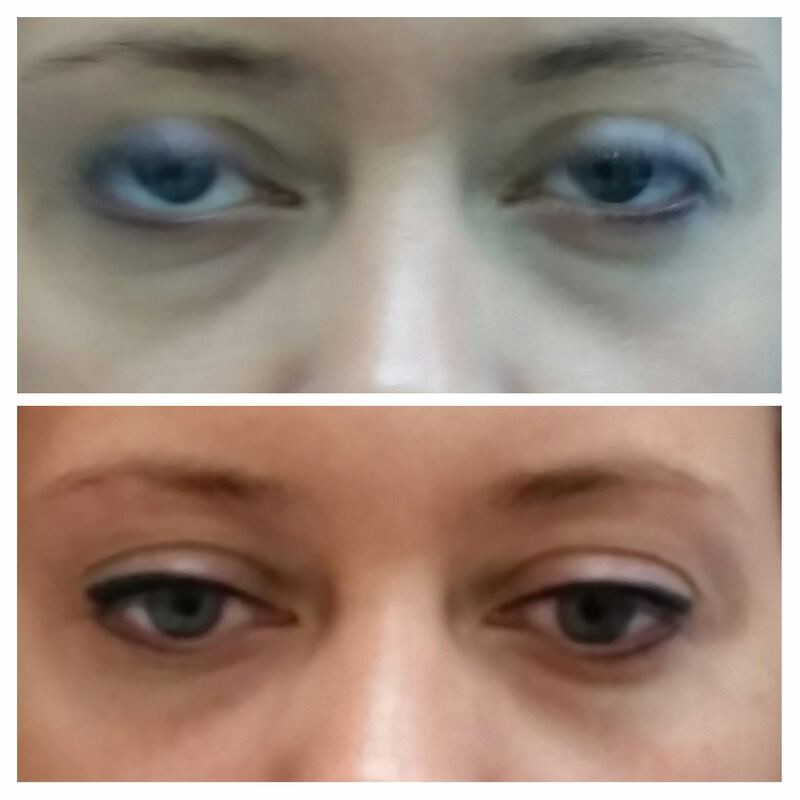 Permanent makeup, or permanent cosmetics, is tattooing. 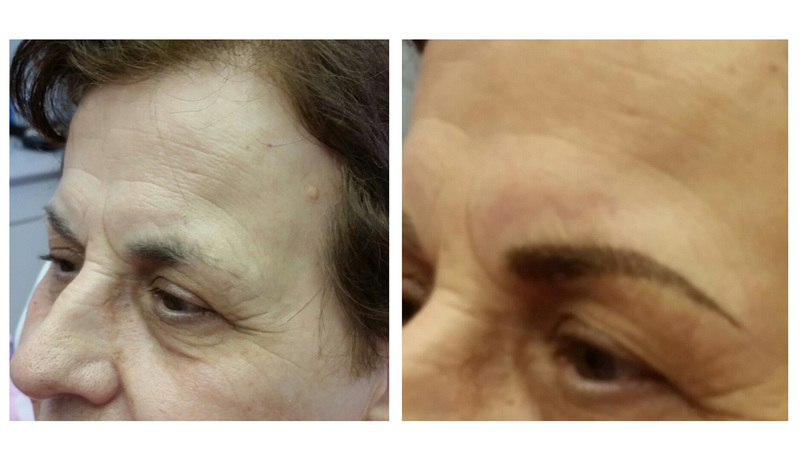 Specifically, it is a cosmetic technique that implants color pigment into the upper reticular layer of the dermis, in order to create a lasting cosmetic result. It is performed using micro needles via a permanent makeup pen and adheres to the same strict sanitary regulations that the field of tattooing requires. 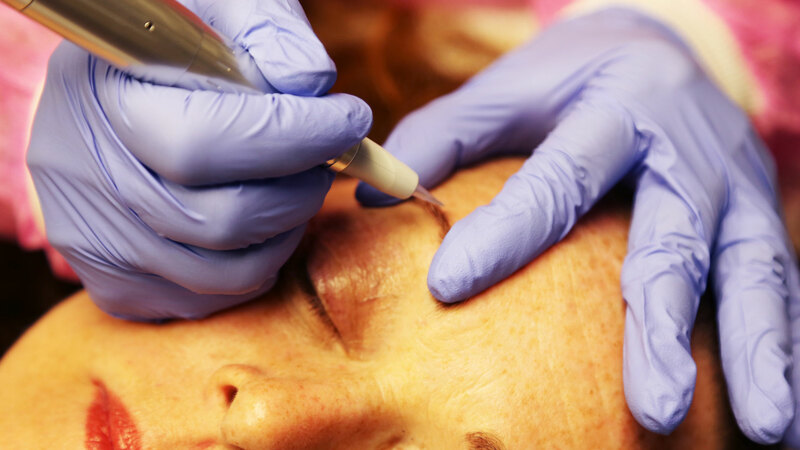 Beauty By Design’s permanent makeup process involves a consultation with patch test (a minimum of 2 days prior to your service), implantation of pigment, and a follow-up visit to evaluate the healed design and color of the tattoo and administer final touch ups. 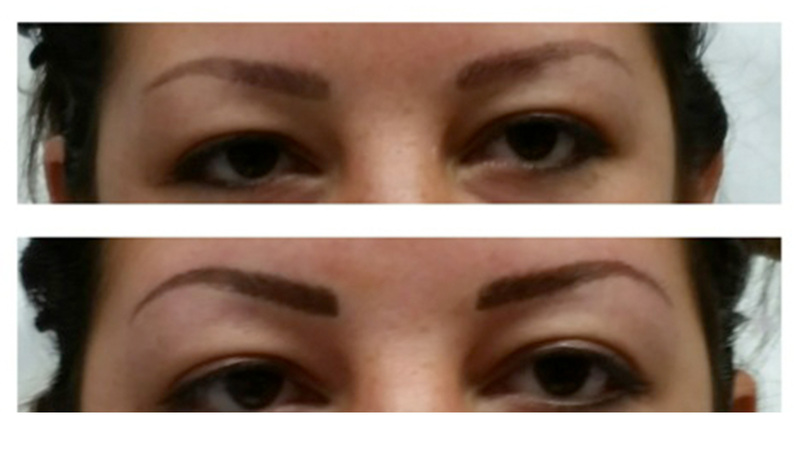 As with any tattoo, permanent makeup can fade over time and often requires periodic maintenance, called color refreshing. 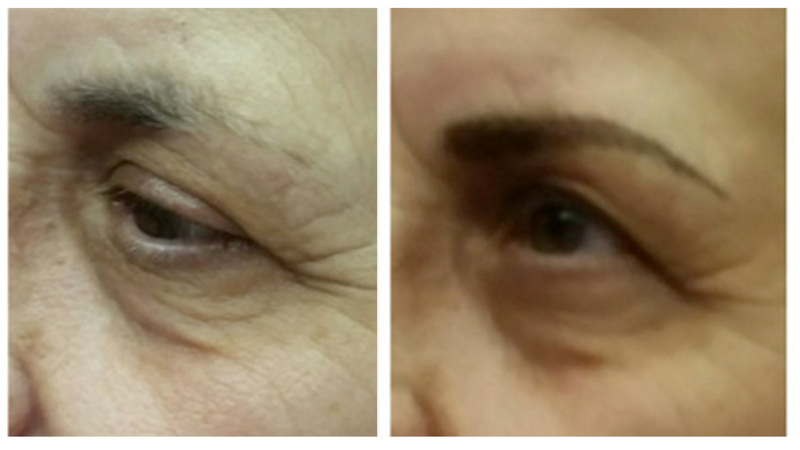 Permanent makeup can be especially desirable for those yearning for a soft, natural enhancement to their appearance. It also means less time in front of the mirror in the morning and no more smudges, smears or touch ups throughout the day! 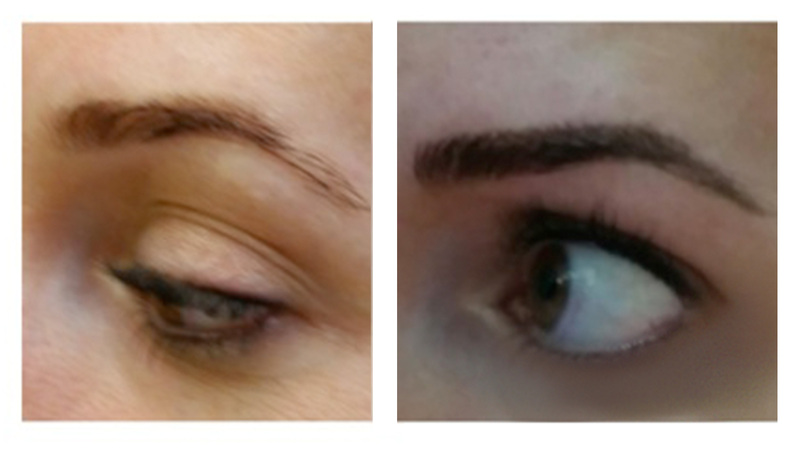 Anyone who has difficulty applying traditional cosmetics can benefit from permanent makeup. 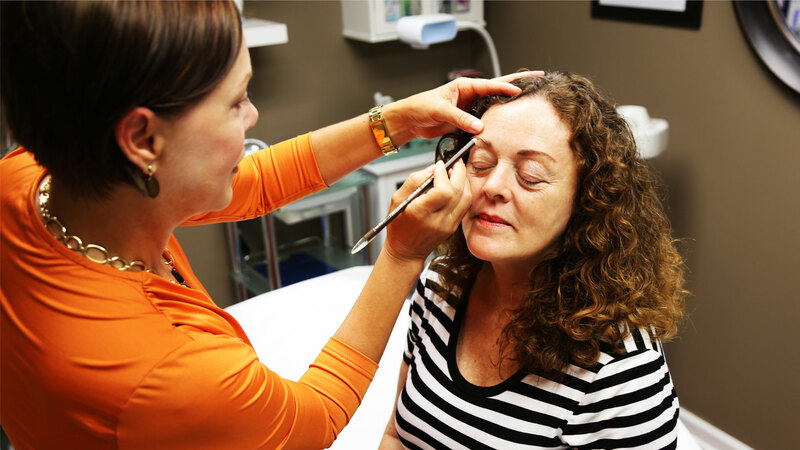 Whether it is due to complications of a debilitating disease such as arthritis, Parkinson’s, stroke, multiple sclerosis, etc., or simply a lack of skill in applying makeup, permanent makeup can be a wonderful solution to ensure a naturally beautiful appearance each and every day. 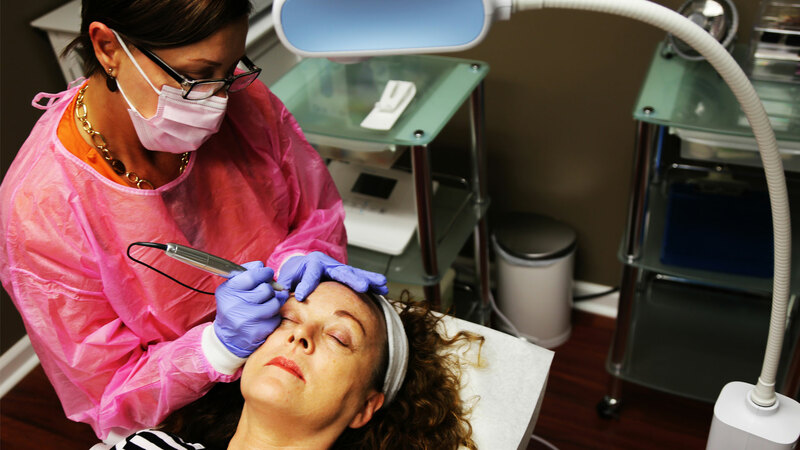 Thanks to permanent makeup, individuals with active lifestyles can look their best without worrying about runny, smeared makeup, as can those who suffer from allergic reactions to traditional makeup. 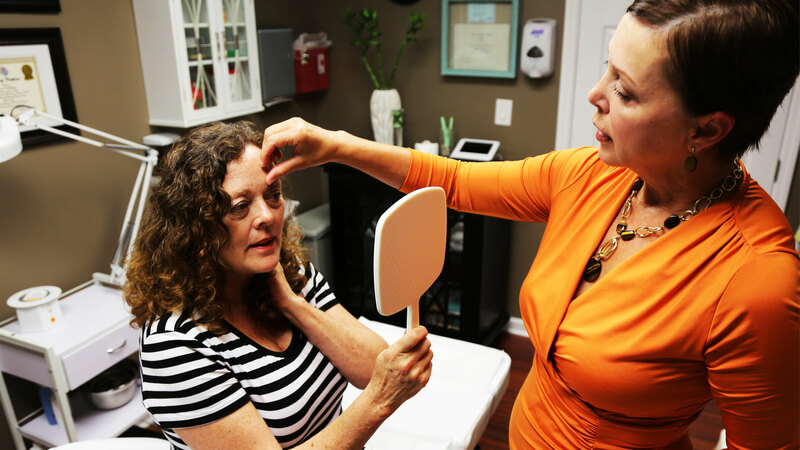 Other potential beneficiaries include individuals who have lost their hair, have trouble seeing or have experienced changes to their brows, lips or eyes due to aging. Through the years this client had lost hairs from the arch to the end of the tail. 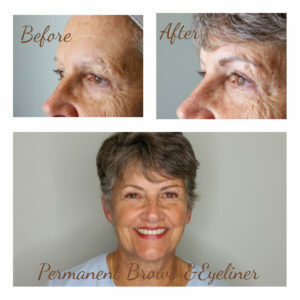 A brow color was mixed to compliment her skin tone and hair color. 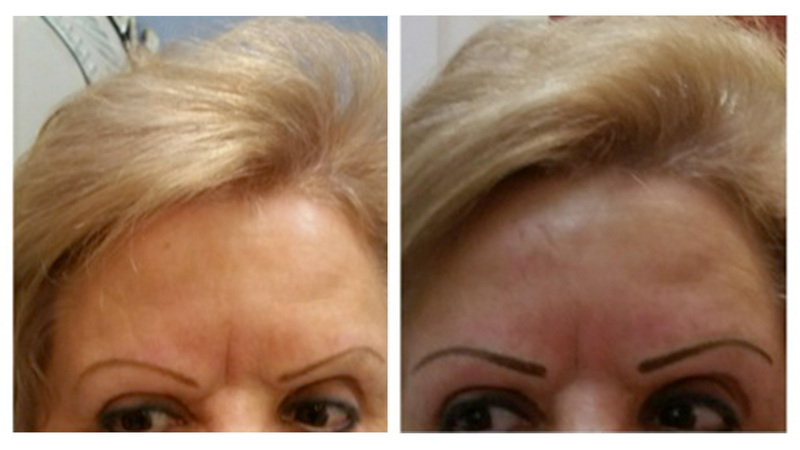 These photos were taken on the same day immediately before and after the permanent makeup brow procedure. 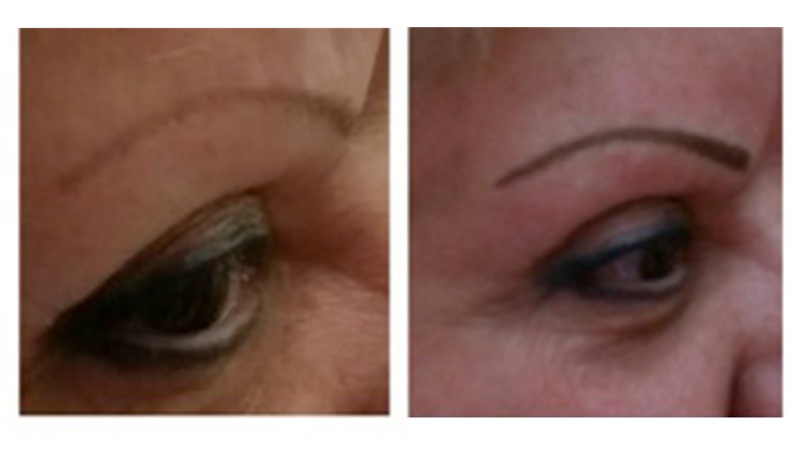 This client had her brows tattooed previously by someone else. 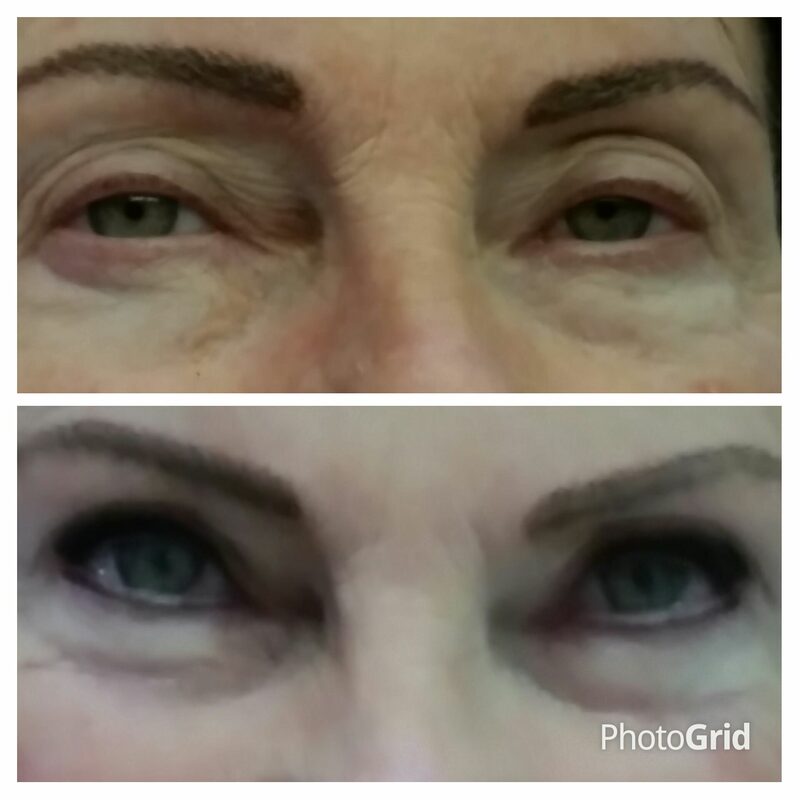 She had some fading and wanted a fill-in; she also wanted the beginning part of her brows to have more of a straight edge. 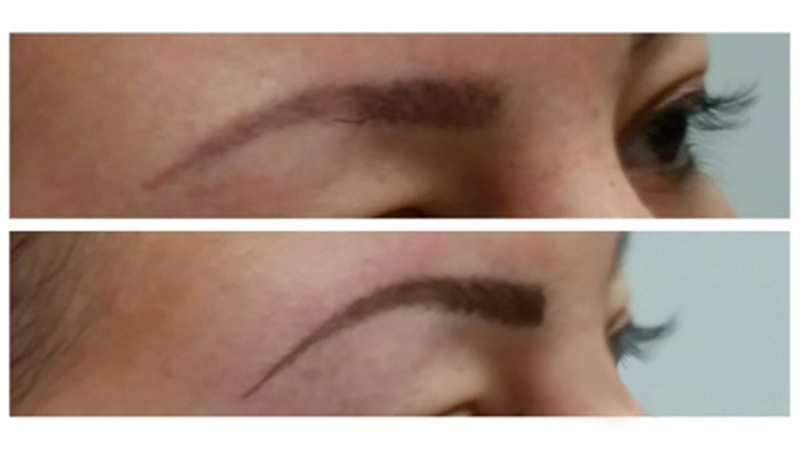 This client already had a beautiful shape to her brow, however some areas were sparse and the tail was very thin. It was the sparse tail that bothered her the most, she was so happy with the final result. 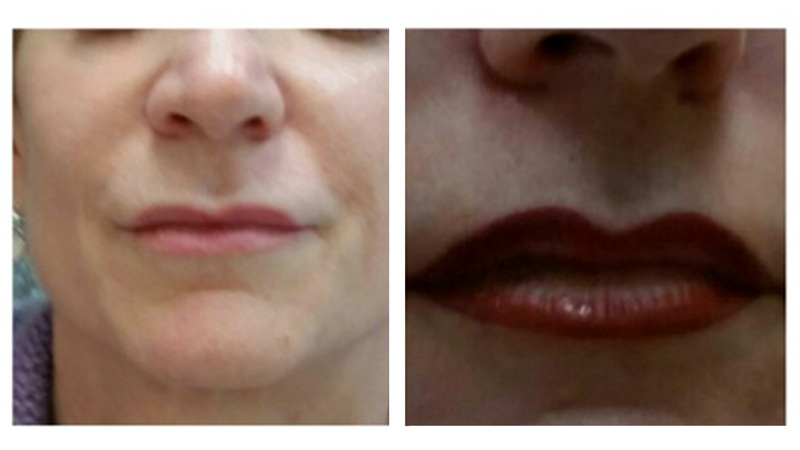 Shaded lipliner - Client wanted her lips to be more defined and to appear a little fuller. 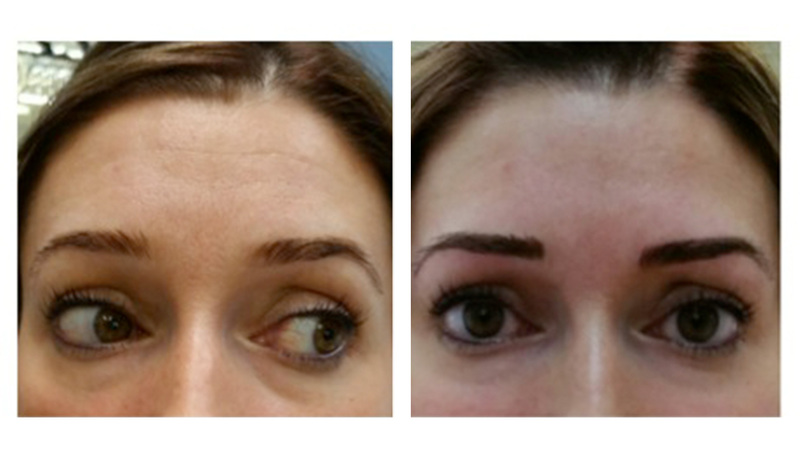 This client had her brows tattooed previously by someone else and needed to have the arch corrected. 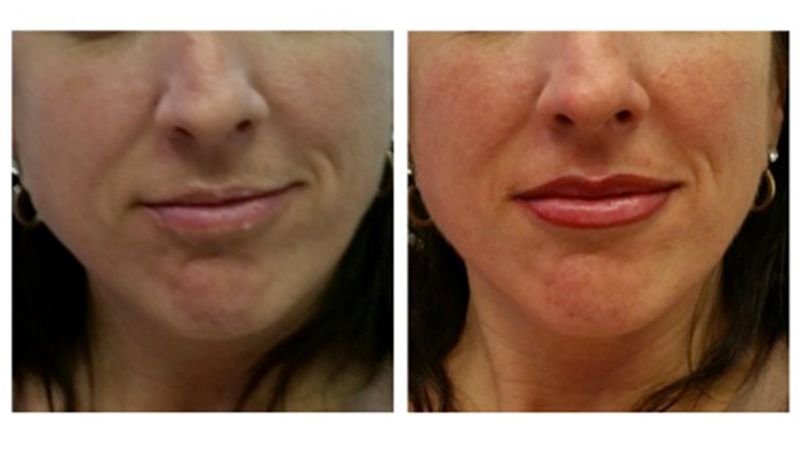 This client has been wearing bright red lips all her adult life; she wanted a nice bright red permanent tattoo. Note: sorry folks I took the before photo while the numbing cream was still on, this client was so funny and personable and we were talking and laughing and I forgot to remove the cream before taking the photo.